Australia’s geoscience community responds to a global need: supply of critical minerals to support growing high-tech industries and a low carbon economy. Image: UNCOVER Australia. Australia has benefited enormously from diverse and rich mineral endowment for almost two centuries, but it now faces an urgent challenge: finding enough of the right minerals in more complex environments to supply emerging low carbon economies globally. Here we discuss Australia’s minerals backdrop, the strategic and critical minerals challenge ahead, and how the national geoscience community across academia, industry and government plans to tackle that challenge. Australia has been enjoying mineral riches and an overall buoyant economy since the 1840s, shortly after European settlement. First came silver, lead, copper, and coal discoveries, together with mining and processing in South Australia and New South Wales. Then it rained gold in Victoria and New South Wales in the 1850s, and again in Western Australia during the 1890s, capturing the world’s notice. Since the turn of the twentieth century until the early 2000s, explorers have found world-class deposits of coal, iron ore, base metals and uranium across the Australian continent. Today, Australia’s resource sector makes up over 8 percent of the economy, and in excess of 70 percent of goods exports— bringing our mod cons to life, and enticing the developing world with such prospects. Thanks to opportunistic European settlers, and the explorers and miners in generations that followed, almost nine out of ten Australians now enjoy the modern ‘luxury’ of smartphone ownership. Image: Henry Beaufoy Merlin. “...the coming decade will be a critical period in human history. It will see humanity continue to place the planet under increasing pressure, ultimately calling for a new understanding of, and innovative approaches to, sustainability. Australia has relied on the abundance of many minerals to support modern life domestically and abroad: coal for electricity generation, iron ore for steel production, copper for electrical wiring, nickel for stainless steel, and rare earth elements for mobile phones and batteries, to name a few. Doctor Arjan Dijkstra and Doctor Colin Wilkins, geologists from the University of Plymouth's School of Geography, Earth and Environmental Sciences Turn an iPhone to dust to find out what's inside. But this minerals mix must now evolve to support high-tech applications like renewable energy, aerospace, defence, automotive (particularly electric vehicles), telecommunications and agri-tech that underpin emerging low carbon economies globally. AGC President and former AIG President, Doctor Bill Shaw, explains that the new ‘critical minerals’ mix will include copper, cobalt, nickel, lithium, graphite and the rare earth metals for solar panels, electric vehicles and the batteries for storing renewable energy. Indeed copper production throughout human history has roughly doubled every 22 years. Given the rapid growth in the use of electric vehicles, which require about 83 kilograms of copper compared with 15 kilograms of copper in conventional cars, the production rate required to meet the demands of a low carbon economy is only likely to further increase. The Australian Government aims to support the growing global high-tech sector by supporting innovation, attracting new investment and promoting marketing opportunities, while delivering the infrastructure needed to bring new critical minerals projects into production on home soil. Experts at UNCOVER Australia explain that renewable energy infrastructure requires four times as much copper than conventional energy. Image: Woolnorth Wind Farm in Tasmania, by Andrew Baker. The Australian continent is largely covered by transported sediments (foreground) that have been eroded over millions of years from elevated rock sequences nearby (background), as shown here in the Flinders Ranges, South Australia example. Geologists must search below these cover rock sequences for mineral deposits using expensive drilling and geophysical techniques that are available today. Image: Peripitus. In 2018, the national geoscience community across government, academia, and industry, together advanced a number of key national geoscience initiatives to address Australia’s minerals challenge. First, the Resources 2030 Taskforce made recommendations on how Australia’s resources sector can become ‘the world’s most advanced, innovative and successful’. Minister Canavan later responded with the National Resources Statement, which sets out policy and long-term reform agenda for the Australian resources sector. In September, the Australian Academy of Science released the Decadal Plan For Australian Geoscience, which identifies minerals security as one of five key national geoscience challenges. Shortly after, AuScope began to consult with the national community, including members of the MinEX CRC, UNCOVER Australia, to define infrastructure needs that will enable researchers to tackle decadal geoscience challenges, including those relating to minerals. 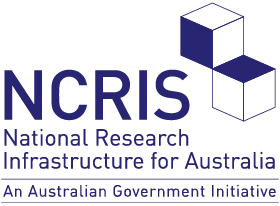 Next we will prepare an investment plan for the Australian Government to be considered in future capital infrastructure funding opportunities beyond forward estimates of its 2018 Budget commitment to national research infrastructure. With a world-leading capability to address the minerals challenge, Australia no longer relies on being ‘lucky’. It is the first in a series that will explore each of Australia’s five geoscience challenges relating to minerals, water, food, energy and ‘geohazards’.